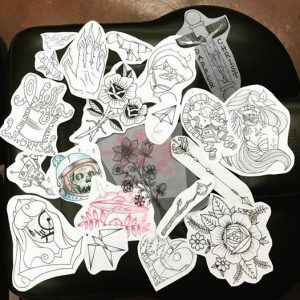 Our Tattooer Justin Sims has a bunch of little things drawn up he would love to turn into tattoos, see something you like let us know, or let’s come up with something together. Currently have openings for this week, let’s set an appointment! He works mon/tue/wed/fri/Sat and is available Thursday and Sundays by appointment only.